Official statement from FESTIVAL DE CANNES…. In 2002, it was Star Wars – Episode II – Attack of the Clones and in 2005, Star Wars: Revenge of the Sith. In 2018, what is one of the greatest legends in the history of cinema returns to the red carpet at the next Festival de Cannes. The saga’s second spin-off will be unveiled on the screen of the Grand Théâtre Lumière. This adventure takes us back to the youth of the famous smuggler, ace pilot and charming scoundrel, Han Solo. Written by Lawrence and Jonathan Kasdan, and directed by Ron Howard, who starred in George Lucas’ classic American Graffiti and directed numerous popular and critical hits such as Apollo 13 (1995) or A Beautiful Mind (2002, Oscars for best film and director). Alongside Alden Ehrenreich (Blue Jasmine, 2013) who plays Han Solo, the cast includes Woody Harrelson (No Country For Old Men, 2007), Emilia Clarke (Terminator Genisys, 2015), Donald Glover (The Martian, 2015), Thandie Newton (Jefferson in Paris, 1995), Phoebe Waller-Bridge (The Iron Lady, 2011), Joonas Suotamo (Star Wars VIII: The Last Jedi, 2017) and Paul Bettany (Dogville, 2003). Solo : A Star Wars story is produced by Kathleen Kennedy, the President of LucasFilm, with Allison Shearmur and Simon Emanuel. The executive producers are Lawrence Kasdan, Jason McGatlin, Phil Lord and Christopher Miller. The screening in the Grand Amphitheatre Lumière at the Palais des Festivals in Cannes promises to be an event for all fans of the saga and everyone in attendance. 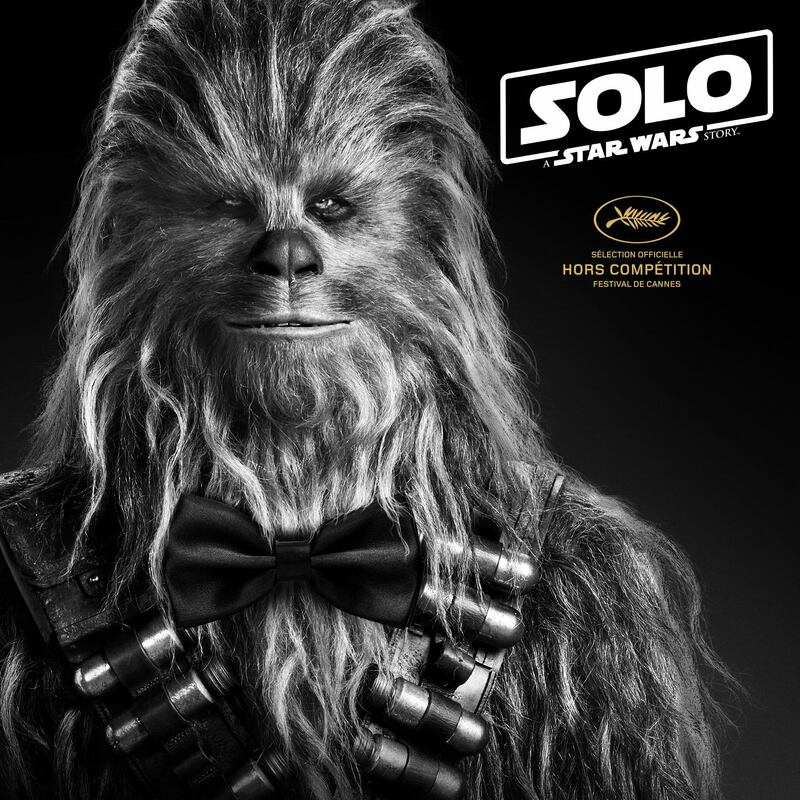 Solo is distributed by the Walt Disney Company. It will be released in France on May 23, two days before its release in the United States. The Cannes International Film Festival, to be held from Tuesday 8 to Saturday 19 May will unveil its selection on Thursday 12 April at 11am.